The name Chengdu literally means ‘to become the capital’. This name did not mean a lot to me when I first began studying China and it seemed like a name that had lost its meaning Dynasties previously. However, along with Chengdu’s emergence as a central economic, business and tourism hub, branded as the most important city in Western China, the name Chengdu has reclaimed it’s meaning and could really ‘become’ the western capital of China. Before its recent development, Chengdu was famous for two factors that are still seen as very Sichuanese to the western mind: spicy food and pandas. Sichuanese food has always been a huge part of the Chinese takeaway market in the UK. Known to most Brits as Szechwan food, popular dishes of this kind include Kungpao Chicken and Sichuan hot pot. 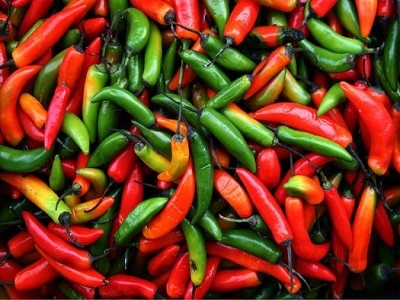 A key feature of Sichuanese cuisine is spice. Sichuan’s special spice is known as 麻辣 (MaLa), literally meaning ‘numb spice’. The sensation of eating MaLa is very unique. It is not harsh like an Indian or Mexican spice, more of a cool numbing feeling that leaves your mouth tingling for more. 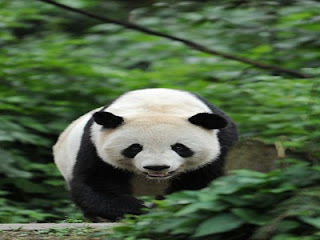 The second unique characteristic of Chengdu is the pandas. China’s national emblem, gifts of peace and cooperation and an adorable animal loved by all, the pandas are an important attraction that entices visitors from all over the world to come visit. In the north east of Chengdu, tourists have the chance to see pandas in an almost natural habitat; ranging from baby pandas to full grown giant pandas, not to mention the lesser known, but still as much loved, red panda. Furthermore, you can learn about the development of panda research and understand how we can prevent the full extinction of these animals. There is a saying in Chengdu that Sichuan dogs bark at the sun 蜀犬吠日. This phrase comically describes how the weather in Chengdu is often cloudy and therefore the dog barks at the sun there because of the surprise factor. Though the weather here is indeed often cloudy, the temperature is very pleasant and adds to Chengdu’s image as one of the most relaxing and liveable cities in China. The relaxing atmosphere is strengthened further by Chengdu’s many tea houses which are scattered across the city, and a place where one can relax in a city that despite its metropolis size, maintains a peaceful and sultry atmosphere not seen in other parts of China. Chengdu is really a city on the rise. The importance of this western hub for transportation is striking and becoming so vital, that BA will soon fly directly to Chengdu from London Heathrow. On a tourism scale, this city allows you to relax, enjoy and flavour everything that Chengdu and Sichuanese culture has to offer; be it relaxing with some Chinese tea, eating delicious spicy foods or observing China’s animal, the Giant panda. On a national scale, Chengdu really does live up to its name and should bring an accelerated expansion to the west of China, seen previously only in Shanghai.